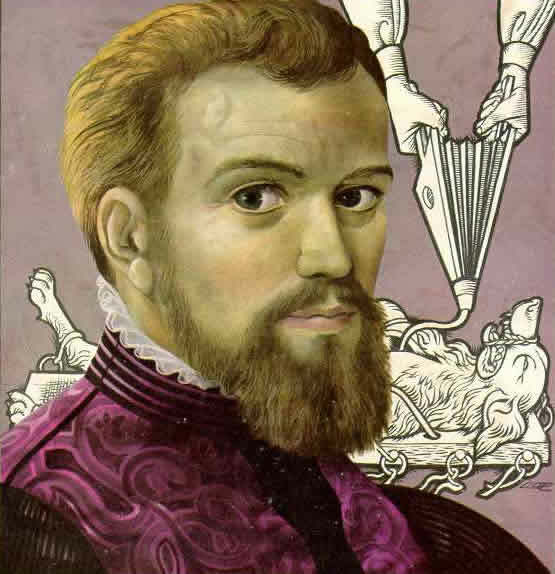 By his reasoned, critical approach to GALEN he broke the reverence ascribed to the former master and created a model for independent, rational investigation in the development of medical science. In 1543, Vesalius published ‘De Humani Corporis Fabrica Libri Septem‘ (The Seven Books on the Structure of the Human Body). Book One reveals Vesalius’s understanding of the importance of the skeleton. Book Two is about muscles; Book Three – Veins and Arteries; Book Four – The Nervous System. Book Five concerns the Main Body Organs; Book Six – The Heart & Lungs; Book Seven – The Brain. At 42cm tall and 28cm wide with over 700 densely packed pages, it was impressive in size alone. 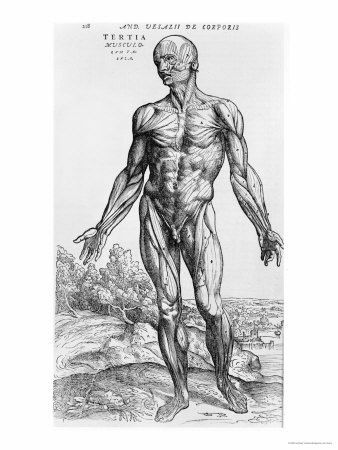 It contained 200 illustrations, was the first definitive work on human anatomy actually based on the results of methodical dissections of humans and was the most accurate work on the subject ever written. Galen himself had never dissected a human body as this had been forbidden by Roman religious laws. This entry was posted in BIOLOGY, HISTORY OF SCIENCE, INDEX, SIXTEENTH, THE MIDDLE AGES and tagged Anreas Vesalius, biology, Fabrica, Galen, HISTORY OF SCIENCE, INDEX, Italy, medicine, middle ages, science, sixteenth, Vesalius. Bookmark the permalink.